Call for pricing and availability 907-456-4991. 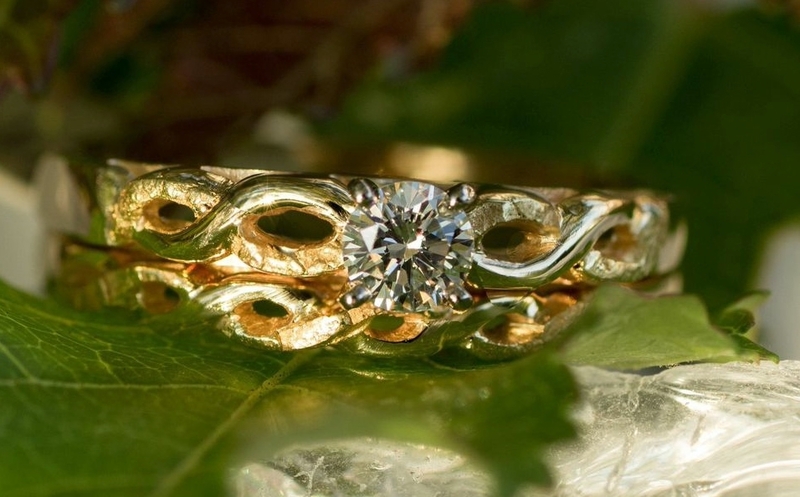 Dramatic center Diamond surrounded with natural Alaskan Gold Nuggets. 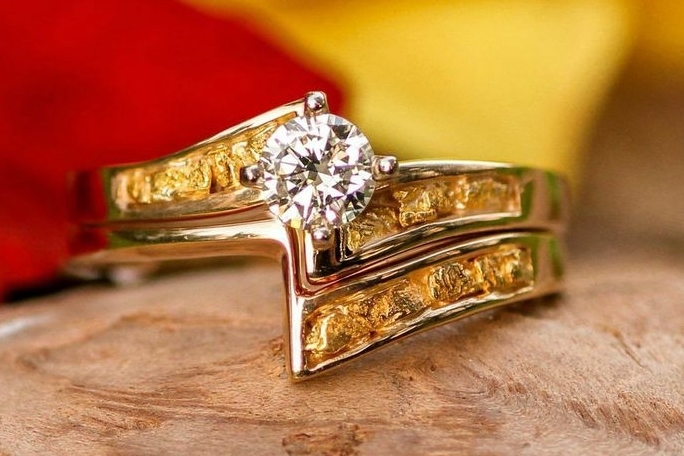 This enchanting Diamond Ring features a stunning round Diamond center stone bezel in a showy 14kt yellow gold cylinder combined with gorgeous pearly beads of gold. 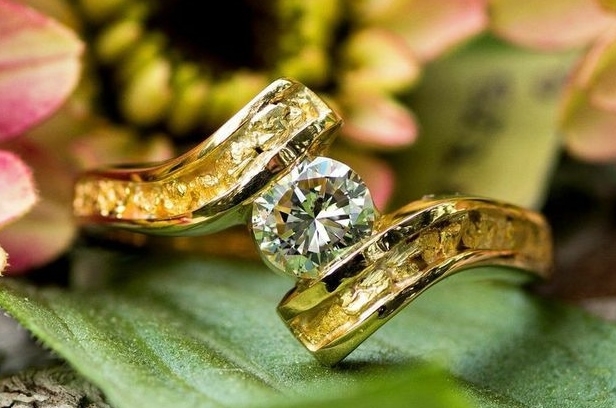 This striking marquise cut Diamond Wedding Ring set features a stunning Diamond center stone on the engagement ring in 14k Yellow Gold. Call for price and availability - 907-456-4991. 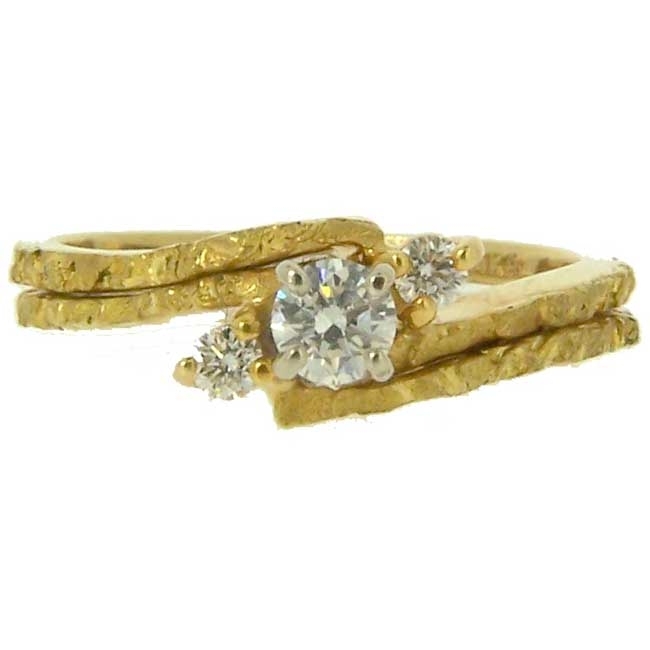 Women's Alaskan Gold Nugget and Diamond Wedding Ring in 14kt yellow gold. 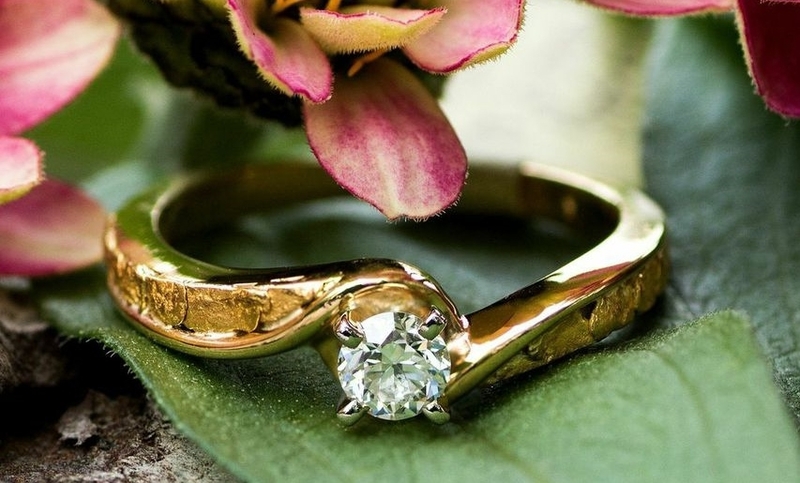 Gorgeous Diamond surrounded in 14kt Yellow Gold hearts of Love Wedding Ring.